Hello all of you 24 junkies.. My name is Joel and I am the official blog writer for the 24 Podcast.. I, again, want to thank Mr. James Morrison on last week’s interview on his experience with 24. Hopefully I will be able to secure interviews with other past and present stars of 24 in next few weeks. This week, however, I am pleased to conduct another interview, this time, with 24 Podcast Co Host Mark Sieverkropp. I have co hosted a few episodes of the Podcast with Mark and he’s a very knowledgable 24 mind. The blog on the Sentox Conspiracy WILL get done, probably next week. Without further adue, here’s my interview with Mark Sieverkropp. Joel: So Mark. You are the current co host of the 24 podcast along with Joshua Rivers. Explain to the viewers, how long have you been a 24 follower? Mark:I began watching new episodes of 24 somewhere around season 5 or 6. I learned of 24 from a friend of mine shortly after returning home from my mission in 2006. After expressing sheer disbelief that I had never watched 24 he told me that I had to start watching it. Luckily, at that time, Fox would show 2 or 3 old episodes a day and I quickly caught up to the new seasons! Joel: The 24 podcast is a global success. People from all over the world listen intently every week. How did the podcast come about? Mark:Isn’t that crazy??? It’s almost unbelievable to me the success we’ve enjoyed thus far! I’ve got to give Josh full credit for the podcast though. It was Josh’s idea to start a podcast about 24 when he heard that it would be returning in 2014. Josh and I had interacted quite a bit due to following some of the same blogs online. He’d seen me post something about being excited to hear that 24 was returning so he approached me with the idea of co-hosting a podcast about 24. And, as they say, the rest is history! Joel: 24 has had some great moments over the years. Is there one moment whether good or bad that stands out as your favorite moment watching 24? Mark:Wow. Just one? I’m not sure I can boil it down to one. But if I really had to, I think I’d have to say President Palmer’s assassination. To have a major character killed so suddenly—and right at the beginning of a season floored me! You see Palmer and you get excited to see him back in the show…then BAM! He’s gone! Just like that. It’s very sobering every time I watch it. Jack being forced to execute Chappelle is another that always stands out to me. Joel: Besides Jack Bauer, who has been your favorite character over the years whether minor or major? Mark: Again, just one?? There’ve been so many awesome characters in 24. You could pick a favorite CTU director, a favorite CTU agent, a favorite bad buy, a favorite un-named henchman, etc. Honestly, I always really liked Aaron Pierce. I thought he embodied everything that was good about the Secret Service and public servants. 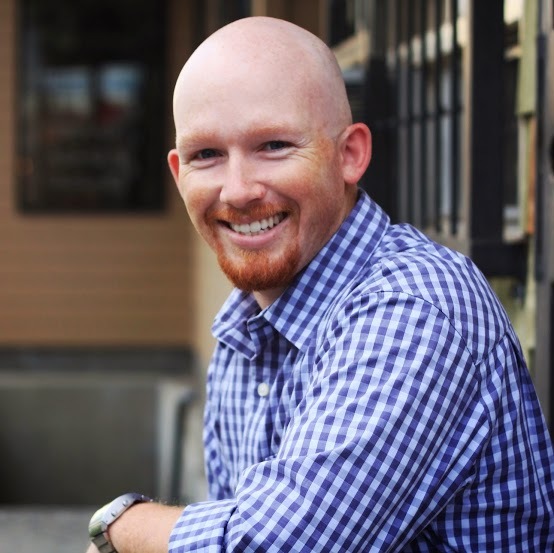 I actually wanted to name my son Aaron Pierce Sieverkropp…but my wife vetoed that idea! 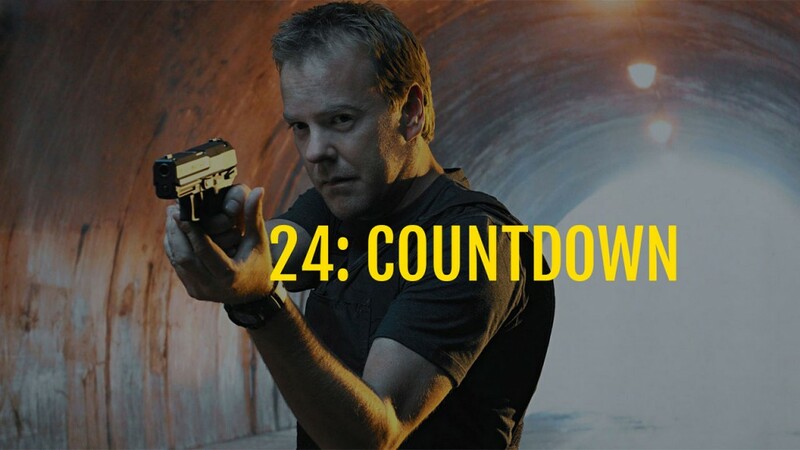 Joel: 24 has won various awards over the years, what season stands out as your favorite of all 8 seasons? Mark: I would have to say either Season 3 or Season 7. I’m not sure what exactly I loved about S7, but it has always stood out as my favorite maybe it was having to wait extra long for it due to the writer’s strike…or the introduction of Renee Walker…but it’s always been my favorite. Joel: With 24 Live Another Day set to hit television screens May, 2014, we know Jack, Chloe, Audrey, and James Heller are returning as well as a new character named Adrian. If anymore characters are brought back, who would you like to see return? Mark: I’m like everyone else (except, of course, David Fury) in wanting to see Tony Almeida return. Beyond that I think I’d like to see either Cole Ortiz or Mike Doyle return. I really liked both of their characters. Joel: What would you like to see happen in the New season as far as plot and direction? Mark: I don’t know that I really care too much how the season goes, I’m just happy to have Jack back! But I do hope maybe we’ll see Jack working a little more outside of government a bit. I don’t know how that looks, but would be a neat dynamic—maybe a bit more of what we saw in 24:Redemption… I guess we’ll have to see what happens! Joel: Explain the dynamic between Jack Bauer and Tony Almeida? Why was that relationship so crucial during 24? I think what makes the relationship so crucial though is exactly what Jack says in Season 4, Tony’s the only person Jack can trust. Even with the later betrayals, Tony’s a good man. He means well and, I believe, is a patriot at heart. I think Jack needs Tony—and Tony needs Jack. I guess you could say they’re besties…no matter what happens. It’ll be interesting to see how the relationship changes or evolves if they do bring Tony back in LAD. Joel: What do you think of the new hacker character, Adrian? Mark: I really think it’s a character that will be based on the WikiLeaks founder, Julian Asange. What does that mean for the story line? I’m not sure. I imagine we’ll see Jack Bauer interacting with him at some level. Probably as adversaries. Maybe details about classified missions Jack was on are released, which lead to Jack having to deal with things he’d rather not deal with? I’m not sure. Should be exciting though! Joel: Well one last question then I think we will wrap up. If you could describe 24 in just a few sentences, what would you say? Mark: 24 is a reflection of our society. One where the threat of terrorism is very real and affects our lives. Jack is the Super hero of our generation—but one we can relate to. One with weaknesses and shortcomings, but a good man who loves his country and would do anything to protect it and its citizens. He’s the government agent we all hope is out there somewhere protecting us. I think he represents the best and worst of America. I’m grateful to be able to, in some small way, be the catalyst for bringing 24 fans across the globe together to talk about this awesome show!! Well I would like to thank Mark on this very revealing interview on 24 and the 24 Podcast. Be sure to catch the latest edition of the 24 Podcast, #18, as He and Josh discuss 24 Season 4.. You can keep in touch with Mark on twitter @Skropp2. Until next week, My name is Joel Wood and this is the longest day of my life.